For the last eight to ten days, the topic of equalization in the Canadian federation has received quite a bit of media attention. It was sparked by the seemingly leaked news that the federal government is pondering the reform of the formula by which it transfers billions of dollars from from so-called have provinces to have-no provinces. The way the formula is rigged has left four provinces with less than 30 per cent of the country’s population to “equalise” services in the rest of the (seven) provinces. One doesn’t need to be a financial wizard to understand that such a situation is unsustainable: something has got to give when a new round of negotiations takes place in 2014. Alberta’s share is significant. The Vancouver Sun reprinted last week this editorial, which had appeared in the Calgary Herald just a few days earlier. The editorial raised the question of the $19 billion gap between what Alberta contributes and what it gets back from federal transfers. Here in Alberta, the Finance department calculates that Albertans pay $39.6 billion into federal coffers and the province as a whole receives back $20.6 billion in the form of federal spending and transfers to persons. So Albertans receive little over half our money back. Danielle Smith made this precise point during the debate, and did a great job in presenting the case for reforming equalisation. She also commended the work of Frontier Centre on this file, and singled out our president, Peter Holle, for his leadership on the issue. Eastern politicians tend to be quite dismissive of Alberta’s concern, alas. In front of a packed room at Calgary’s Petroleum Club, the leader of Alberta’s official opposition, Danielle Smith, squared against the former leader of the official opposition at the federal level, Michael Ignatieff, on Thursday October 18th., to debate Equalization (It was a formidable debate, some of which was covered here and here). Such attitudes need to change, if there is hope of bringing about any fair changes to the equalization formula in 2014. 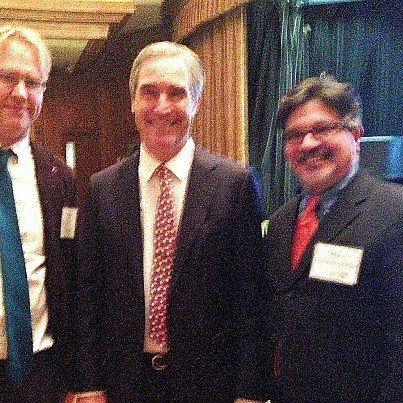 Ignatieff’s attitude will be the subject of my next op-ed.